Seeds of Africa, an international educational non-­profit, is hosting an art-­filled summer social at the Hotel on Rivington on July 27th from 6 pm to 9pm to celebrate our students’ 1st annual art exhibit. Hosted by Seeds founder and former Miss. Ethiopia, Atti Worku, this event will feature live art renderings by local artists, a silent auction of one-­of-­a-­kind paintings, and free appetizers and cocktails from local New York City vendors. Our purpose is to generate awareness of our growing organization and raise money to further our mission in Adama, Ethiopia. All proceeds will benefit the Ethiopian development center, supporting our students and teacher’s valuable work. Seeds would be honored to have you and your publication in attendance. As the event celebrates education and development opportunities for our Ethiopian community, we are confident that your audience will consider this to be a worthy cause and an evening not to be missed! Further event details can be found online at http://soa‐artatdusk.eventbrite.com. 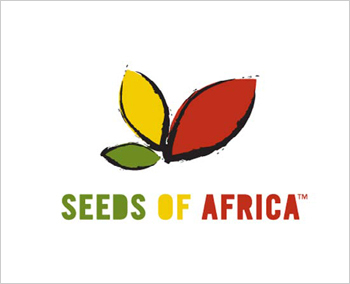 Seeds of Africa is an international non-­profit dedicated to creating an innovative and self-­sustaining model of education and community development, beginning in Adama, Ethiopia. From a single tutor and a few wooden benches in a backyard, Seeds has been able to expand to a fully functioning afterschool program with our own facility and curriculum in only a few short years. Most recently, Seeds has welcomed a new class of primary students, moved to a newer facility, expanded our curriculum, and earned a spot in the Global Giving community. More information is available at www.seedsofafrica.org. Locals move out as international contractors seize opportunities offered by government to lease farmland at knockdown rates It’s the deal of the century: £150 a week to lease more than 2,500 sq km (1,000 sq miles) of virgin, fertile land – an area the size of Dorset – for 50 years. Bangalore-based food company Karuturi Global says it had not even seen the land when it was offered by the Ethiopian government with tax breaks thrown in. Karuturi snapped it up, and next year the company, one of the world’s top 25 agri-businesses, will export palm oil, sugar, rice and other foods from Gambella province – a remote region near the Sudan border – to world markets. Ethiopia is one of the world’s largest recipients of humanitarian food and development assistance, last year receiving more than 700,000 tonnes of food and £1.8bn in aid, but it has offered three million hectares (7.4 million acres) of virgin land to foreign corporations such as Karuturi. “It’s very good land. It’s quite cheap. In fact it is very cheap. We have no land like this in India,” says Karmjeet Sekhon, project manager for what is expected to be one of Africa’s largest farms. “There you are lucky to get 1% of organic matter in the soil. Here it is more than 5%. We don’t need fertiliser or herbicides. There is absolutely nothing that will not grow on it. Sparsely-populated Gambella is at the centre of the global rush for cheap land, precipitated by the oil price rise in 2007/2008, when many countries racked by food riots encouraged their farmers to invest abroad to grow food. The lowest prices are in Africa, where, says the World Bank, at least 35 million hectares of land has been bought or leased. Other groups, including Friends of the Earth International, say the figure is higher. The Ethiopian government says 36 countries including India, China, Pakistan and Saudi Arabia have leased farm land there. Gambella has offered investors 1.1 million hectares, nearly a quarter of its best farmland, and 896 companies have come to the region in the last three years. They range from Saudi billionaire Al Amoudi, who is constructing a 20-mile canal to irrigate 10,000 hectares to grow rice, to Ethiopian businessmen who have plots of less than 200 hectares. This month the concessions are being worked at a breakneck pace, with giant tractors and heavy machinery clearing trees, draining swamps and ploughing the land in time to catch the next growing season. Forests across hundreds of square km are being clear-felled and burned to the dismay of locals and environmentalists concerned about the fate of the region’s rich wildlife. Under the government’s “villagisation” programme, three or four villages at a time are being moved closer to roads and services, but many people say they are not being compensated and are having to wait. “We were promised a school, a health clinic and fresh water eight months ago. We only have one water pump so far,” said Udul Ujulu, chief of Karmi village, a new village of 250 people nine miles outside Gambella town. Others displaced by new farms said they were scared for their lives if they complained. “What power do we have to stop them? We just stay silent,” said one farmer told to move off his land. “There is no movement of population. It’s their choice to have these basic services. But they have to abandon their previous way of life,” said farm minister Wondirad Mandefro.